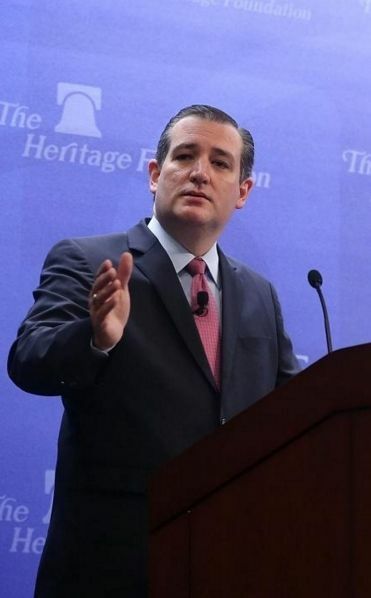 Ted Cruz speaks at the CPAC Thursday. Sen. Ted Cruz of Texas on Thursday heralded a new era of conservative dominance, swept in by Republican control of Congress and ascendent progressivism in the Democratic Party. "We have an opportunity for this to be a historic Congress, the most productive Congress in decades," Cruz said in a conversation with radio host Mark Levin at the Conservative Political Action Conference in Maryland. He cited the repeal of President Barack Obama's health care law, the confirmation of Judge Neil Gorsuch to the Supreme Court and the passage of tax reform – hopefully introducing a flat tax – as the primary goals the unified Republican government could accomplish with a friendly chief executive installed on the other end of Pennsylvania Avenue ready to sign their legislation . "Mark my words," he said to cheers. "Judge Gorsuch will be confirmed." Failing to follow through on such promises, Cruz said, would rightly spell catastrophe for his colleagues. "This election was the American people saying 'enough already' with the corruption in Washington," he said. "We ought to demonstrate that we've heard the voters."